Zimbabwe's top court was set to rule Friday on an opposition bid to have presidential election results thrown out over alleged rigging in favour of Robert Mugabe's successor, Emmerson Mnangagwa. The Constitutional Court in Harare said it would hand down its verdict at 2:00pm (1200 GMT) after considering arguments put before judges on Wednesday, with analysts predicting it would rule against the appeal. Lawyers for the Movement for Democratic Change (MDC) opposition argued that the results should be annulled due to "massive doctoring" of the July 30 vote. "There is a massive cover-up. There has been a massive doctoring of evidence," Thabani Mpofu, representing the MDC, told the court Wednesday. Mnangagwa, of the ruling ZANU-PF party, won the election with 50.8 percent of the vote -- just enough to meet the 50 percent threshold needed to avoid a run-off against MDC leader Nelson Chamisa, who scored 44.3 percent. "This application was not seriously done. The applicant is clearly flippant," he said. Nine judges, led by Chief Justice Luke Malaba, are hearing the case in Harare, amid tight security. But in a first for the country, the proceedings have been broadcast live on state television. 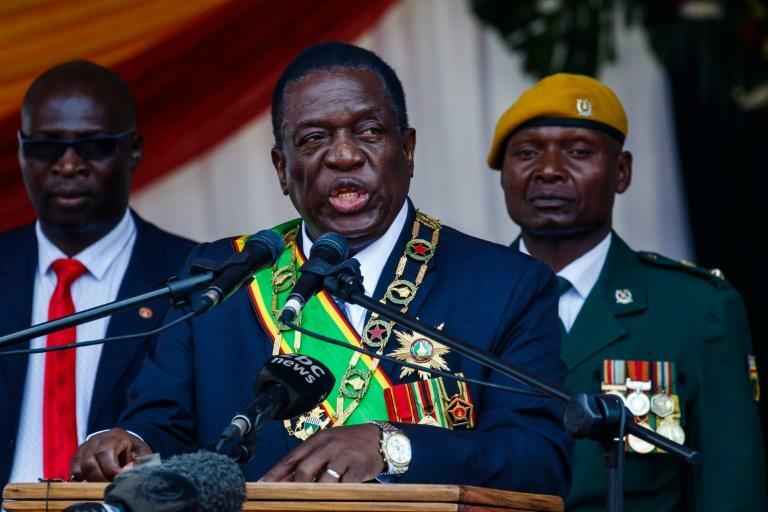 Mnangagwa, who has vowed to revive Zimbabwe's ruined economy, had hoped the elections would draw a line under Mugabe's repressive 37-year rule and open up a stream of foreign investment and aid. Campaigning was more open than previous votes, but the election was marred by the army opening fire on protesters, killing six, allegations of vote-rigging and a crackdown on opposition activists. The MDC has cited a catalogue of discrepancies including incorrect counting, fake "ghost" polling stations, and at some polling stations more ballots being counted than there were registered voters. The court could declare a winner, call another election, or order a run-off or recount. The inauguration should take place within 48 hours of the court's ruling, according to the constitution.